Meet the crazy-expensive Hydrogen One. We've seen the venerable Kodak and Polaroid brands slapped onto smartphones before, but RED — makers of those pricey digital cinema cameras — is trying something a little different. 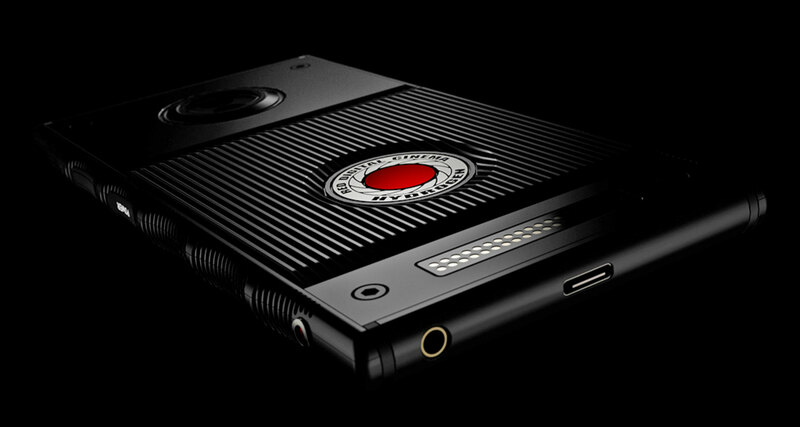 The company just revealed its plans to release the Hydrogen One, a high-powered, unlocked Android smartphone with prices starting at an eye-watering $1,195. That gets you an aluminum phone with some crazy looking grips; the titanium finish will set you back an extra $400. And here's the really crazy part: if RED can actually deliver what it promises, the Hydrogen One may actually be worth the asking price. The company's bombastic press release claims the phone will pack a 5.7-inch holographic display capable of displaying in normal 2D media, stereo 3D stuff and RED's special "4-view content" (whatever that is). That extreme display flexibility is all thanks to some sort of RED nanotechnology that the company didn't feel the need to explain in any way. You'll also find full support for augmented reality, virtual reality and mixed reality, because why not? The goal was to create a phone that didn't need additional glasses or headsets to take in all this rich media; we just wish they tried to elaborate on the tech more. RED is obviously best known as a camera company, so it's little surprise that the phone can also be used to create those 4-view .h4v files and share them with others who have the right hardware. Beyond that, though, the company says the phone will integrate into its existing line of digital cinema cameras to act as a controller and external monitor. Oh, and the phone is modular, too: part of the Hydrogen foundation is a special data connector that allows for external add-ons to capture "higher quality motion and still images." So yeah, RED is basically promising the moon here. The company's press release does get pretty candid at times, though: it very clearly states that you should not expect on-time order fulfillment after the first batch goes out, and that there's no guarantee these prices will actually stick. Candor is great, but clarity would've been nice. The only other things we really know about the phone is that it has a USB-C port, takes microSD cards and has a headphone jack. Given RED's lofty ambitions and lack of experience in building phones, it's hard not to be skeptical — so very skeptical — about all of this. The thing to remember is that the company basically came out of nowhere years back and became a serious player in cinema along the way. We're not expecting an Apple-level success here, but the RED pedigree gives us hope that the Hydrogen One could be more than just a render and a laundry list of buzzwords.